The old access road from Hole 2 to Hole 3 has been demolished, the bridge is reconstructed and wetland planting is undertaken to give golfers the feel of passing through a natural wetland area. 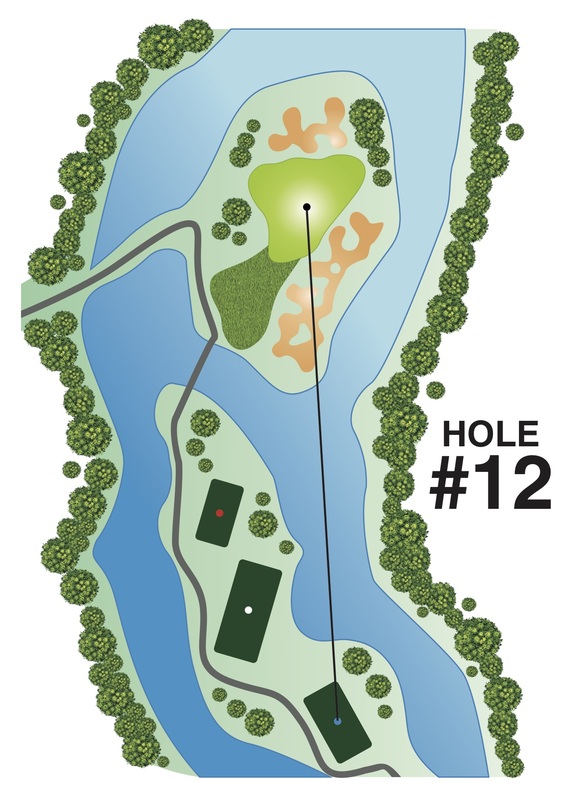 Tees are much larger and the surrounds are reshaped to provide a clearer view of the lake. The small area of fairway to the left of the green has been shaped with several mounds and steep hollows to make approach chipping more interesting. The green is now larger with some challenging new positions, particularly the one to the rear right. From the tees, the green appears to be surrounded by bunkers. The right bunker is the largest on the golf course and is backed by clumps of grass to provide a link to the wetland planting at the edge of the pond. This is also an excellent area for wild life habitat.